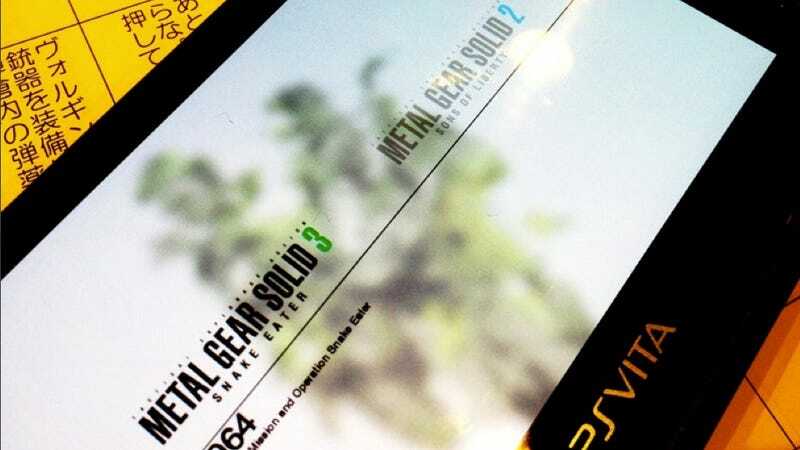 Today via Twitter, Metal Gear creator Hideo Kojima revealed that the Metal Gear Solid HD Collection, the remastered ports of MGS2 and MGS3, would be coming to the PS Vita. Above is apparently the first image of the PS Vita port, which will use the handheld's touch controls. The Metal Gear Solid HD Collection was originally released on the PS3 and Xbox 360 in Nov. 2011, complete with limited edition art book and more. The PS Vita version should be out this year.